Success in sports mirrors success in life. The keys are to set goals, work hard, be motivated, overcome obstacles and push through disappointments. In Tackling Life, one of the greatest sports legends of all time teams up with one of the most renowned experts on emotional management to tackle life through the lessons of sports. 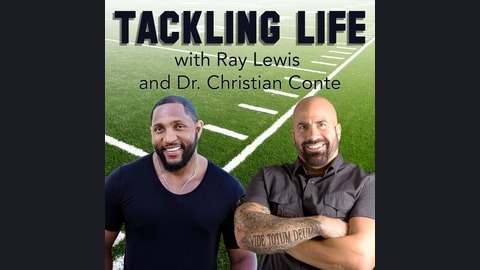 Ray Lewis and Dr. Christian Conte draw on their insatiable drive and passion, and immense experience to bring you a jam-packed, high-energy podcast that will inspire, motivate, and educate, and give you a blueprint for a happier, more successful life. 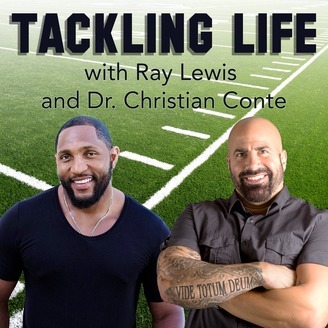 On the 100th episode of Tackling Life, Ray and Dr. Conte explore the questions: What do you bring to the world? What do people get from being around you? Plus, hear about Ray's inspirational foundation, Ray of Hope. And find out about Dr. Conte's new TV Show, "The Secret Life of Kids," debuting Friday, March 16 at 9 pm on USA Network.